Lotus Retreats currently hosts Yoga retreats in Central and South America alongside the Caribbean Sea and Pacific Ocean. Each of our retreat weeks provide a unique experience specific to it's country & cultural offerings. It is important to us that our retreat destinations maintain the culture, community and the utmost natural beauty of their land! We travel to each location prior to our retreat week to personally select unique resorts, that align with our vision and mission, hire local staff, serve organic local foods and immerse our groups with the culture and community of each country for an authentic cultural experience! Attend our flagship chakra-cleansing retreat week at the Gitana Del Mar Beach Resort. The sacred land of Colombia offers enriching soils, sand and raw jungle scenery surrounding you with healing and cleansing powers. During this retreat, we will dive into the chakra system of the body combined with cultural excursions like riving tubing, waterfall hiking, horseback riding and connection with the indigenous communities of the Sierra Nevadas. The home of our Nicaragua Retreat is the Rise Up Surf Resort on the Northern pacific coast of Nicaragua. Also family owned and locally staffed, this resort offers a very fun and laid back family style experience where all guests can come together in the communal areas, the pool, and head down to the ocean for a pacific sunset. Our Nicaragua retreat is an adventure packed week of Volcano sliding,daily surf lessons and impromptu pool parties. Tulum, Mexico has become a beautiful haven for travelers, yogis and adventurers to explore the beauty and bliss of the Yucatan Peninsula. It's healing, majestic and mystical properties can be felt amongst the land with white sand and true crystal blue waters. 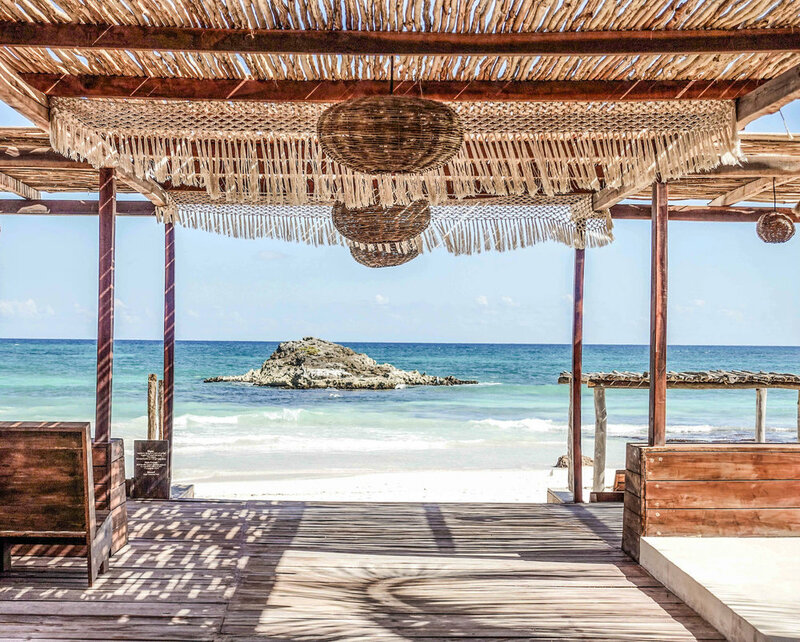 Our Tulum Retreat week provides a space of true tranquility and peace for meditation, relaxation and restoration. Explore the Mayan Ruins, Gran Cenote or join a Temezcal Ceremony. Immerse yourself in true Cuban culture while exploring historic Havana, organic Vinales farmland, ride around in 50's convertibles and retreat for a week of Yoga, salsa dancing and a chance to be apart of authentic Cuban culture and community. Our retreat staff will support you to and from the resort with any travel questions you may have. We always encourage retreat guests to explore various cities before and after the retreat to make the most of their travel! We can offer recommendations and insight on our favorite places, sites to see, partnering hotels and trusted transportation. Gitana Del Mar is blessed with the meaning of beauty! From the very walk way leading up to the entrance I felt caressed with the feeling of peace, comfort, and love. I felt as if I entered another planet like the one in the movie Avatar except there were beaches here. It was flat out beautiful.